Why are they called “lift-hinged”? Floodgates like these ones use the “raise-swing-lower mechanism that makes them easy to manipulate. Such mechanism is not merely for the convenience of opening and closing the floodgate. This “raise-swing-lower” mechanism is also created so the Lift-Hinged Floodgates can accommodate wide entrances. The gate itself can be opened to a 180-degree swing. Undoubtedly, the lift-hinged type is both a quick solution for flooding and a secure floodgate for homes. 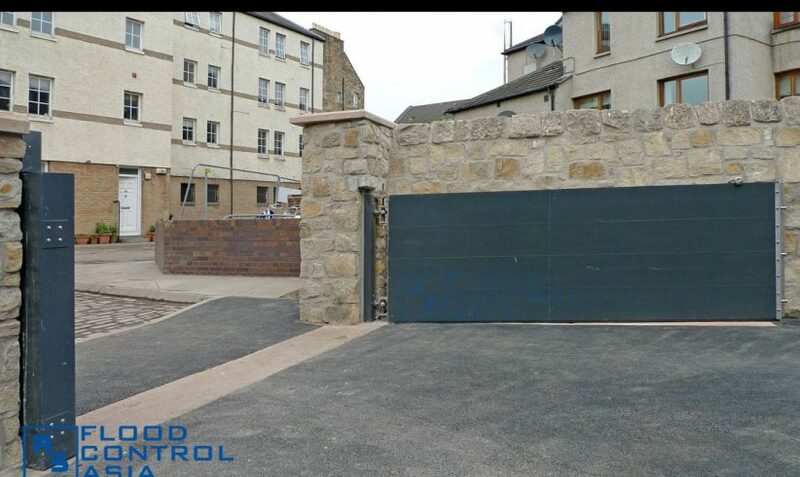 The lift-hinged type is ideal for openings in floodwalls. They perfectly fit on building and vehicle entrances, making them a suitable floodgate for homes and industries. They can also serve as floodgates for entrances where steps or ramps are not allowed. As industrial floodgates, they can be used as permanent gates of big warehouses where constant protection is necessary. The Lift-Hinged Floodgates are designed to serve as industrial floodgates. On the other hand, they can also be used as floodgates for homes, where a quick response to flooding is much needed. 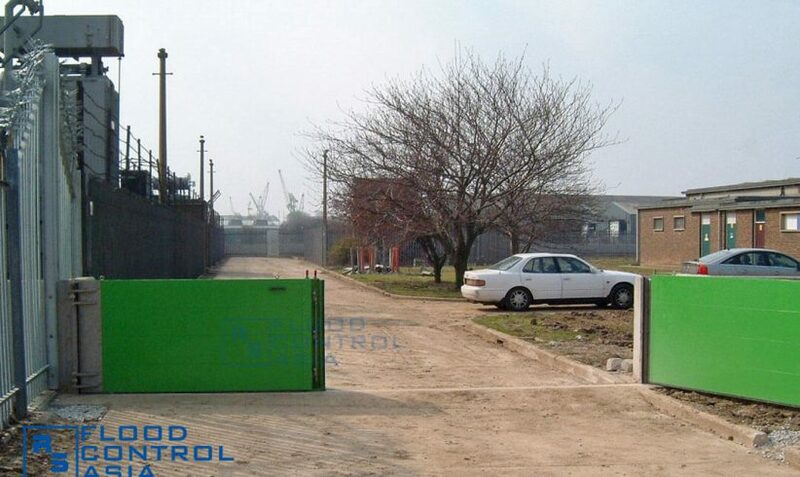 A genuine industrial floodgate, the lift-hinged type can protect big perimeters that contain crucial structures like factories and warehouses. 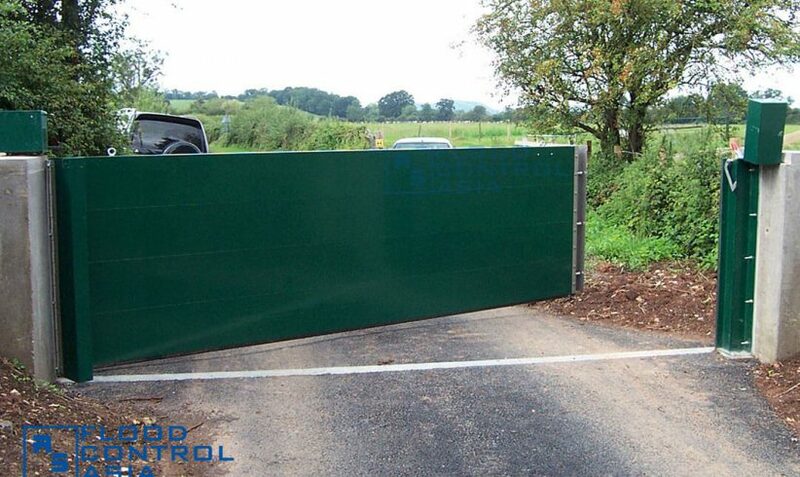 The Lift-Hinged Floodgate can also serve driveways, where entry points usually reach a length of more than 1.00 meter. If the lift-hinged type is perfect for driveways, it is also ideal for underground parking lots. 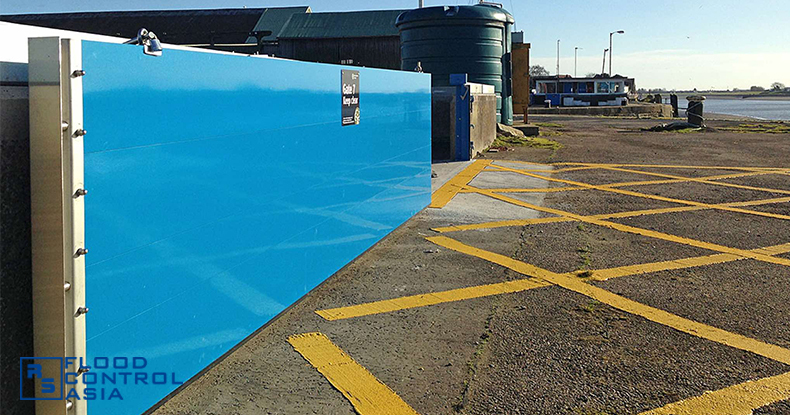 When closed, the Lift-Hinged Floodgate can totally block not only floodwater but all forms of hazards that can cause damage on items stored in the underground parking. The Lift-Hinged Floodgate can also be installed in a two-leaf fashion with one leaf smaller than the other to serve as a pedestrian entrance. Both the Lift-Hinged Floodgates’ vehicular (larger) entrance and the pedestrian (smaller) entrance can be closed through a single-point locking mechanism. In spite of the Lift-Hinged Floodgates’ massive length, one person can operate them easily. The Lift-Hinged Floodgate can be secured through a single-point locking mechanism, which is concealed in a tamper-proof metal cover. It makes the lift-hinged type a suitable and 100% safe residential floodgate. The lift-hinged type is not designed to be a floodgate for homes only. They can also be used for vehicle entrances and for industrial areas. As an excellent residential floodgate, they can protect entrances designed for vehicles and differently abled persons. An ideal floodgate for homes, they can easily be opened to a 180-degree arc. They are lightweight and do not require massive supporting structures. Because they are lightweight, they can be operated by single person; thus, allowing a quick response to flooding. Lift-Hinged Floodgates are not just a quick solution for flooding; they are also maintenance-free since they use construction-grade aluminum steel. 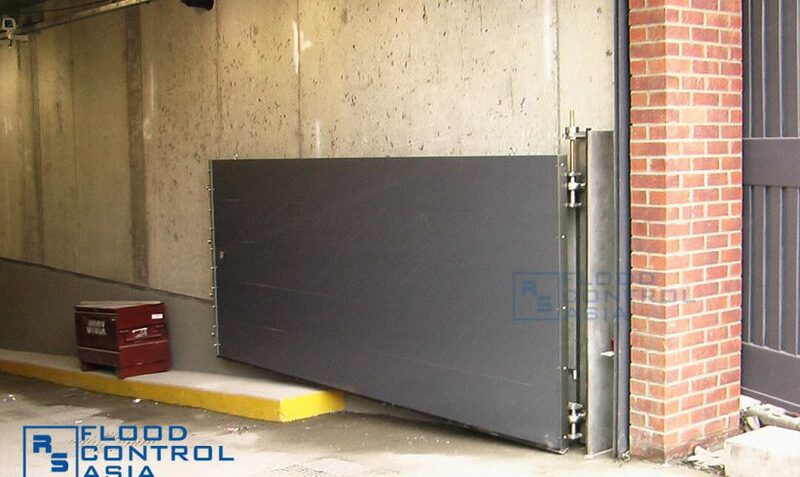 These floodgates have a single-point locking mechanism that makes them 100% secured. 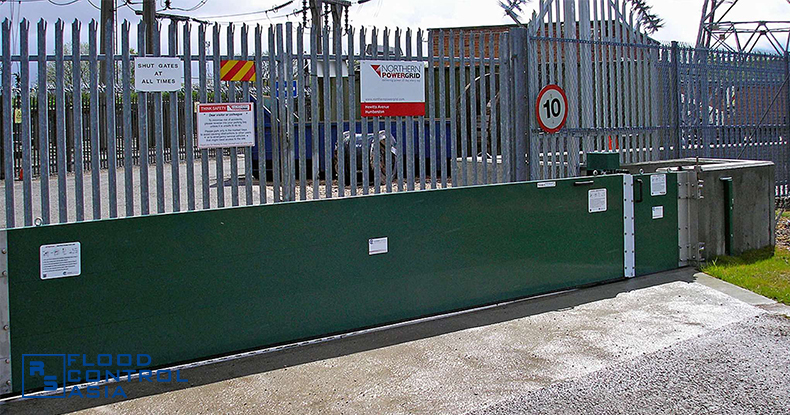 How can the Lift-Hinged Floodgates protect your assets from flood? 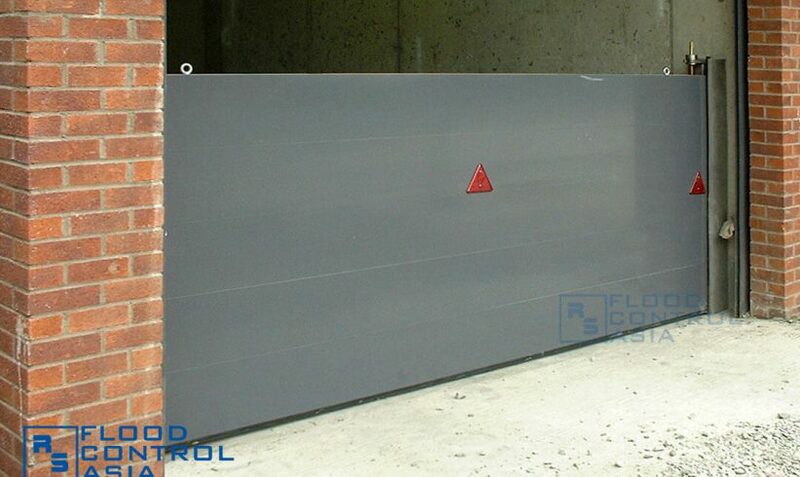 This high-grade industrial floodgate are designed to protect large entry points (e.g., vehicle entrances, factory gates, disabled persons’ entrances, and heavy equipment storehouses. Its sufficient height and length also makes it a permanent gate for residences and industrial areas. Why is the Lift-Hinged Floodgate called a ‘Quick Response to and a Quick Solution for Flooding’? The lift-hinged type, in spite of its size, can be operated by a single person. It can be manipulated through a simple raise-swing-lower technique. Moreover, its EPDM rubber seals are proven effective in blocking all floodwater entry points. Is the Lift-Hinged Floodgate designed for extreme scenarios? The lift-hinged type is made of construction-grade aluminum steel, a material that is known for being 100% corrosion-resistant. 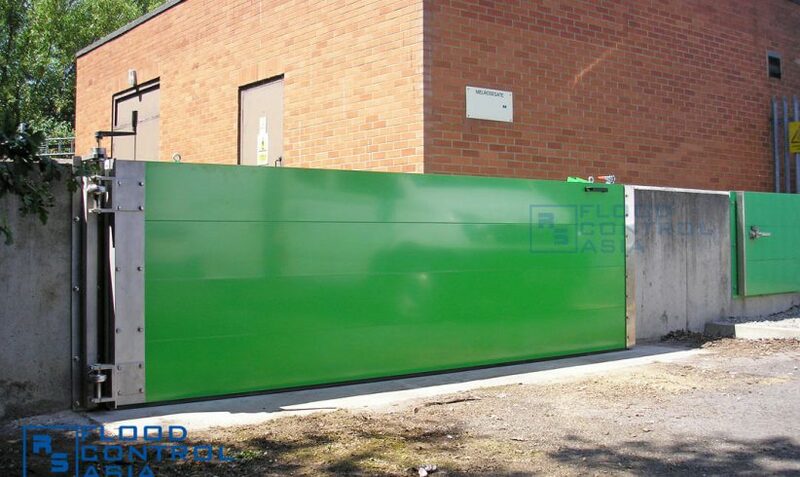 The floodgate can also be painted through powder coating to add another layer of protection against abrasive substances. How can we prove the durability of these Lift-Hinged Floodgates? 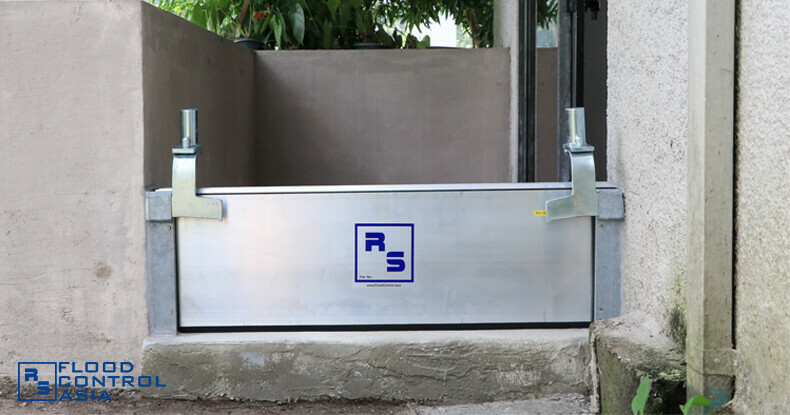 Like all other RS products, the Lift-Hinged Floodgates have been tested and approved by FM Global, one of the world’s most renowned accreditor of risk prevention systems. The Lift-Hinged Floodgates can also resist blunt force brought by floating debris like logs, pieces of metal, and fragments of chipped concrete. Where can the Lift-Hinged Floodgates be installed? 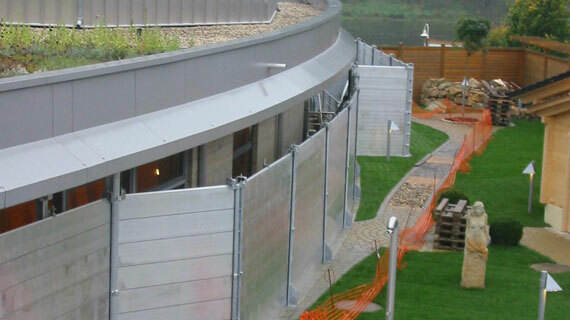 They are best for residences, opening on floodwalls, and for industrial sites where a secure, vandalism-resistant gate is needed.